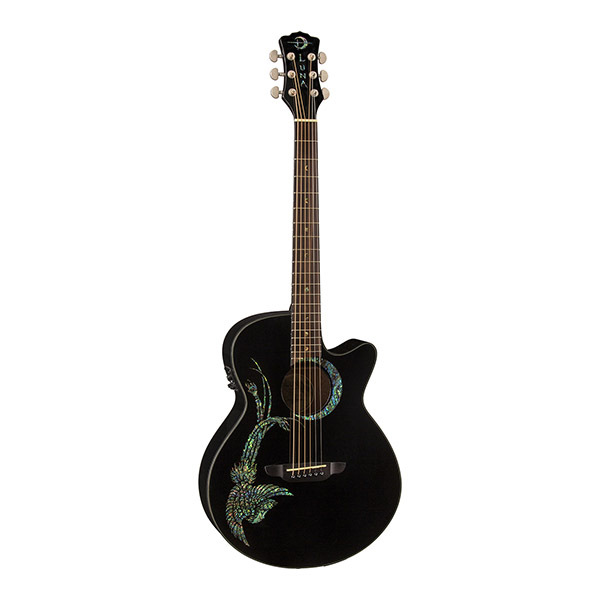 The Fauna Dragon Folk Acoustic-Electric Guitar has a downsized jumbo cutaway body that is comfortably contoured to fit any musician. 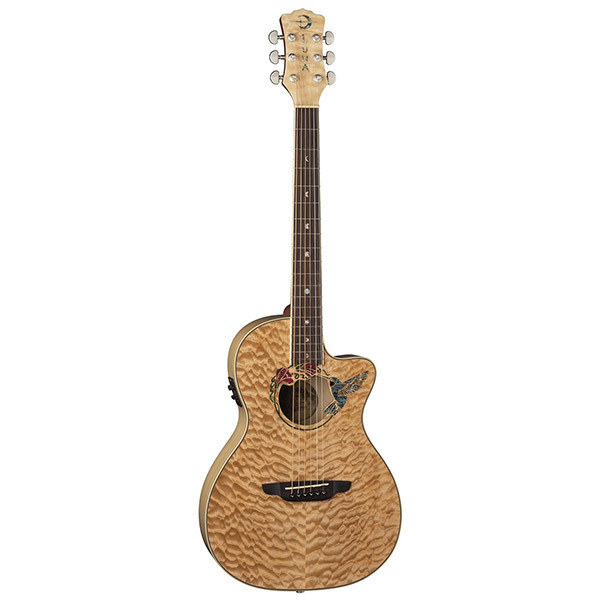 The Fauna Dragon has a select spruce top for a full range of sound, and the sides and back are crafted of mahogany. 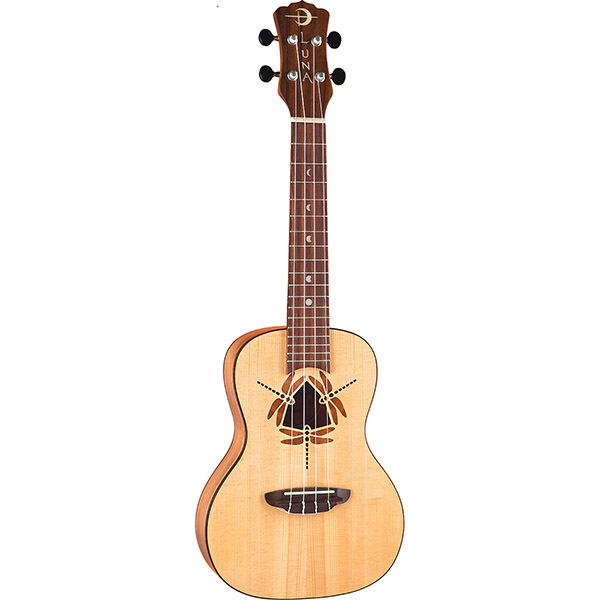 The elegant pau ferro over mahogany neck has a slender profile that puts even challenging notes and chords within easy reach. 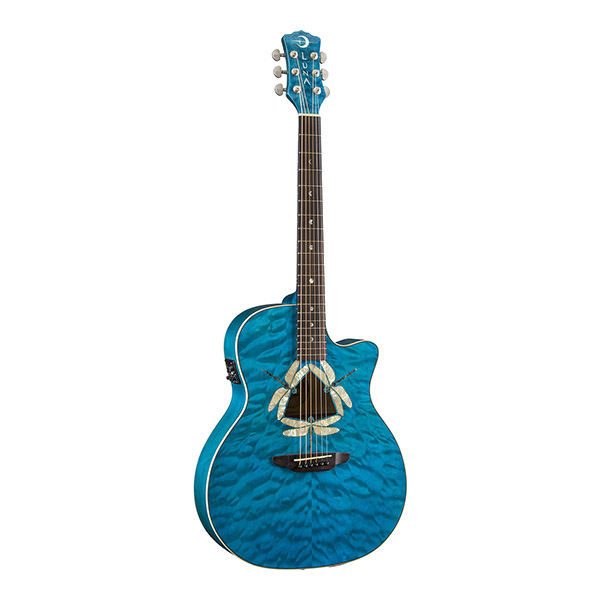 The Dragon features Luna's gently curved headstock with a signature crescent moon logo inlaid in sparkling abalone. Matte nickel die-cast tuners provide smooth and precise adjustment. When your mood turns electric the preamp has more than enough power for any setting. The equalizer lets you shape your sound just the way you like it, and a built-in electronic tuner that makes it easy to keep tones true and on-key. A rich abalone Dragon inlay arches powerfully across the guitar's raven finish, making this instrument an attention-getter. 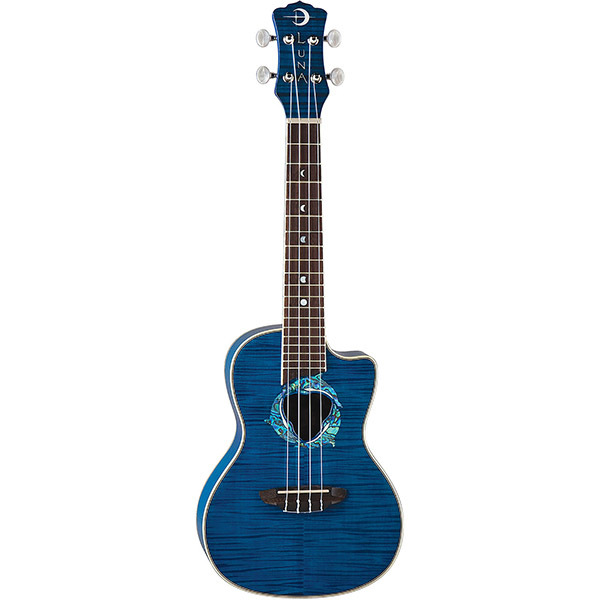 Other Luna signature accents include a crescent moon inlaid in abalone around the sound hole, inlaid abalone crescent moon logo on the headstock, and exclusive moon phase fretboard markers inlaid in abalone. The Fauna Dragon - for the player who's ready to make an unforgettable musical statement. Case sold separately.